Advertising notwithstanding, a customer in Toronto must always do the homework into how HVAC contractors operate in Toronto and neighbouring towns. Like other necessities available in the market, there are good, bad and average HVAC contractors in Toronto needs to be systematically filtered out for best deals. If you are looking for a furnace rental service in Toronto without actually going to the showroom, here are 6 things you can use to verify the claims and make an informed choice. Experts believe that a HVAC contractor in Toronto is more likely to be on LinkedIn and Facebook than your regular grocer. If you verify the background of your new grocer twice, it makes sense to check personal networking of the HVAC contractors in Toronto at least once. Join the group! Look for reviews from clients and vendors, and analyze them online. Do you see your friends flashing in the members or Likes on the HVAC contractor’s social media page? If yes, get references on the kind of air conditioner rental they received or how they carry out ductwork installation. You are more likely to land up with at least 4-5 very good contractors, dealing in furnace rentals and water heaters as well. Going back to good old days is still safe when it comes to finding a local HVAC dealer near you. If there is a catching advertisement in the print or Yellow pages, it is more likely to be an established dealership, with sizeable experience behind his back. If they have a toll-free number, use it. 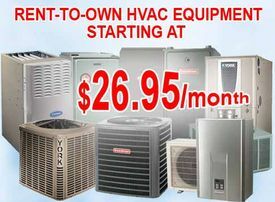 Get connected and you could possibly earn the first visit from your nearest HVAC contractor Toronto in minutes. Are they sophisticated? Do they use advanced tools for inspection and detecting faults, apart from plumbing, duct installations and air conditioner venting operations. If yes, you are likely to get best services, with full worth on your furnace rental packages. And yes, we do consider smart phone applications as modern tools of engagement. Best HVAC contractors in Toronto dealing in air conditioner installations and furnace rentals in Mississauga go an extra mile, on the road. They have steady fleet of operational trucks to reach out to their ever-growing and consistent list of customers. Distinctly visible through their cheerful banners and truck body paints, finding a HVAC contractor on a truck is more likely an event than finding your cab. Though a clichéd recommendation, it remains the best tip so far when it comes to comparing prices and their services from a long list of competitors in the market. The most updated website should be your first pick. How to identify that? Look for posts, reviews, press releases and tweets flashing on the landing pages. You can earn a rewarding deal from HVAC furnace contractors in exhibitions, sales and charity events, where you have more reasons to trust their impressive advertisement strategies, apart from obvious channels. Copyright © 2019 ACfurnaceGTA.ca - All Rights Reserved.